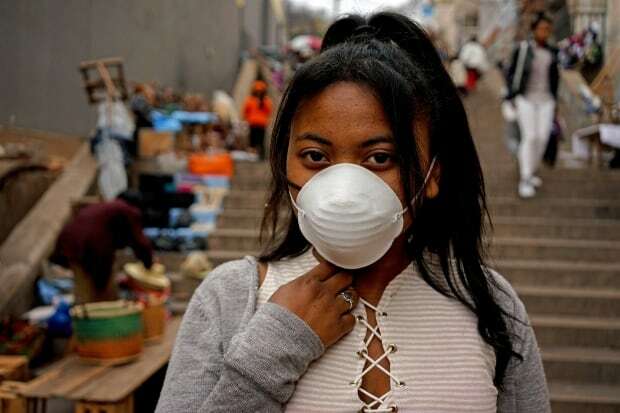 Elisah Raharimalala and her daughter wear face masks as they make their way around the capital of Madagascar, Antananarivo, a city of more than a million people. They’re wearing the mouth and nose coverings to protect themselves not from air pollution or the common cold but from the plague, a disease that in the West is more commonly associated with the Middle Ages. In 14th-century Europe, the plague was known as the Black Death and by some estimates caused an estimated 50 million deaths during that period. In Canada, there has not been a human case of the plague since 1939 (although a case was detected in a Saskatchewan prairie dog this summer). Worldwide, there are between 1,000 and 2,000 reported cases a year, largely confined to rural areas, according to the Centers for Disease Control and Prevention. But now, a deadly outbreak of plague is spreading across Madagascar, a country that already had the highest number of cases of the disease in the world. And it’s spreading fast — faster than it has in the past in Madagascar, according to the World Health Organization (WHO). “People just don’t think of plague in 2017 as a cause of illness. We think of this in medieval times killing a huge proportion of the world but lo and behold, it’s alive and well,” said Dr.Isaac Bogoch, an infectious disease and tropical medicine specialist at the Toronto General Hospital. WHO spokesperson Tarik Jasarevic explained that Madagascar sees more cases of plague than other poor countries because of several factors that combine to create just the right conditions for the spread of the disease: plague is already present on the island; rats live in close proximity to humans; and people live in poverty with unsanitary living conditions. The most common form of plague, the bubonic plague, is a bacterial infection spread to humans through infected fleas that have contracted the infection from small animals they’ve bitten, such as rats, or through direct contact with infected tissue or inhalation of infected droplets. If left untreated, the bacteria can spread through the bloodstream to the lungs, which causes the pneumonic form of the plague. This can then be passed from person to person through coughing. The infection causes flu-like symptoms and can be treated with antibiotics if caught in time but can be fatal if not treated early. Both bubonic and pneumonic forms of the plague are currently present in Madagascar. The WHO calls the plague a disease of poverty because it thrives in places with unsanitary conditions and inadequate health care. Madagascar is one of the poorest countries in the world. UNICEF estimates around 82 per cent of the population of 25 million lives below the international poverty line, meaning they live on less than $ 1.90 US a day. Between 2010 and 2015, Madagascar accounted for about 82 per cent of the deaths from plague worldwide. Out of a total 584 reported deaths, 476 were in Madagascar. Since late August, the country has had 162 reported cases of plague and 30 reported deaths. Madagascar sees cases of plague every year, but the difference this year is it is affecting highly populated areas, which has led the disease to spread more quickly than in the past. “Contrary to past outbreaks, this one is affecting large urban areas and port cities, which increases the risk of person-to-person transmission,” he said. In Antananarivo, one of the people killed by plague was a basketball coach from the Seychelles who died while visiting the capital for a basketball tournament. Nine other people have died from the plague in the city, and 16 others were hospitalized. 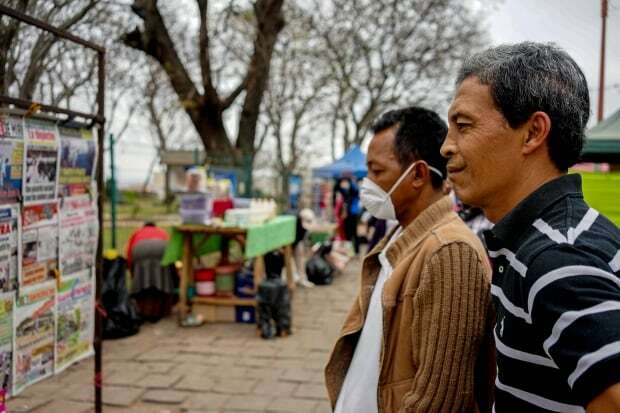 “WHO is concerned that plague could spread further because it is already present in several cities, and this is the start of the epidemic season, which usually runs from September to April,” said Dr. Charlotte Ndiaye, the WHO representative in Madagascar. 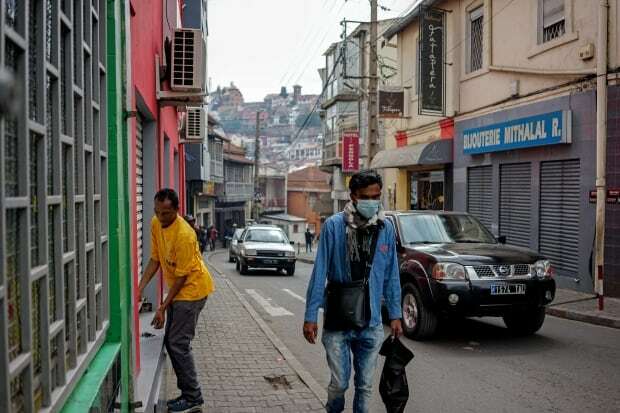 Madagascar’s minister of public health, Mamy Lalatiana Andriamanarivo, said the government is particularly worried about the disease spreading in urban areas. “What makes this plague different from the case before is the existence of urban pulmonary plague,” said Andriamanarivo. Priscilla Rasamoely is a pharmacist in Antananarivo. The pharmacy she works at has sold out of face masks. Rasamoely says she has been advised by the country’s order of pharmacists to reassure the public, and she’s been busy in the last few days talking to people concerned about the disease. The government is tracking where individuals who have been infected live, where they have gone and who they have come into contact with and says they are working night and day to treat those who have contracted the illness. There is epidemiological monitoring of people coming in and leaving the country in place at the airport in Antananarivo. Schools in Madagascar are temporarily closed to prevent the spread of the plague and to give the government a chance to disinfect buildings. The government is also planning public awareness campaigns on TV and radio and is providing new training for doctors and paramedics on treating the plague and dealing with those infected. The WHO says it has deployed more staff to Madagascar, released $ 300,000 in emergency funds and provided medical supplies in response to the outbreak. 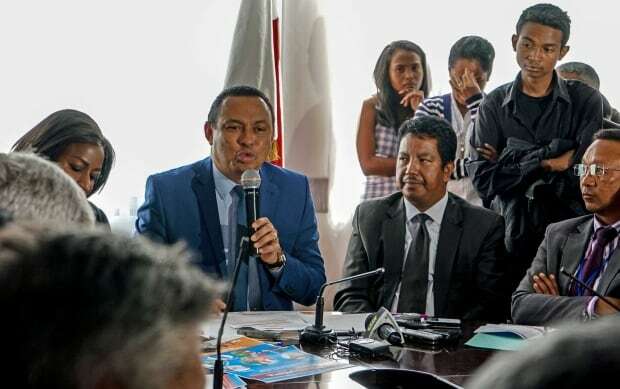 But Benjamin Andriamintantsoa, an opposition member of the National Assembly, says lifting the country out of poverty would help prevent outbreaks like the one the country is experiencing. “We are are in the 21st century, and in Madagascar, there is plague, because of the poverty. People are poor, and they are fighting to survive,” he said.